Beware the White House ides of March: comms director quits while gun control gets momentum, and Australia's SA tour kicks off without much ado. 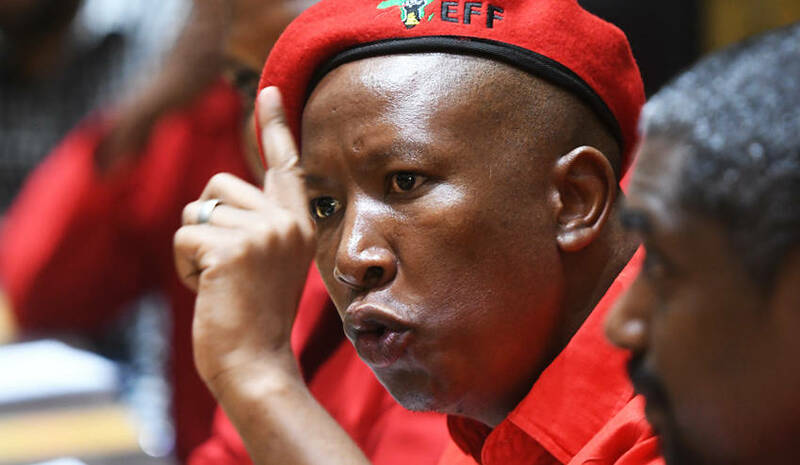 The real agenda of Julius Malema, and the Economic Freedom Fighters party he leads, has long been a mystery. Throughout his eventful career he has changed tack on several issues, not least his support and then disgust for Jacob Zuma. Over the last few days he has managed to once again be the very centre of political attention, after convincing, or forcing, the ANC to back his motion to change the Constitution to expropriate land without compensation. Then, flushed with victory, he claimed he was going to remove the DA from power in Nelson Mandela Bay, and possibly other metros. He revels in the position of kingmaker. But in a realpolitik world his position is increasingly precarious, and the good options are fewer than it would seem to an outside observer. It wouldn’t be a regular month in the White House if someone wasn’t resigning. This time Donald Trump’s communications director Hope Hicks has announced her departure a day after testifying before a Congressional Committee over the ongoing Russian election meddling investigation. Hicks is the fourth communications chief in Trump’s menagerie. That there is even a communications director for the man who tweets everything that pops into his head might be the most surprising aspect of this all. Spotify, the world’s largest music streaming service, has filed for an initial public offering of $1-billion. Although not technically available in South Africa (yet), the music-streaming service is an everyday facet of most homes in North America and Europe. The relatively low IPO was a result of Spotify maintaining that it did not intend to raise a large amount of capital. Today sees the start of a four-Test campaign by the Aussies in South Africa. Starting in Kingsmead, the tour promises to be a cricket fan’s delight. Australia has a daunting record when playing South Africa in South Africa, so this test series will be a serious gut-check for a post-India Proteas squad. ANTOINETTE MULLER has the full briefing on what you ought to know ahead of today’s first day of cricket. The percentage of Bhutan’s countryside that is constitutionally-required to be covered in forest. It is the world’s only carbon-negative country. Today in 1873 the first practical-use typewriter is produced. The American M1 Abrams battle tank can run on jet fuel, diesel, kerosene or any grade motor fuel. President’s Keepers’ Jacques Pauw raided – but why now? An education system that works for everyone – is it impossibly complicated? Or just hard going?